Wow. So apparently a class action lawsuit has been brought against makers of low-price-point California wines that have been found to contain nightmarishly-high levels of arsenic. First, here is the list of implicated wines. Do you drink these wines? Scary? Scary! 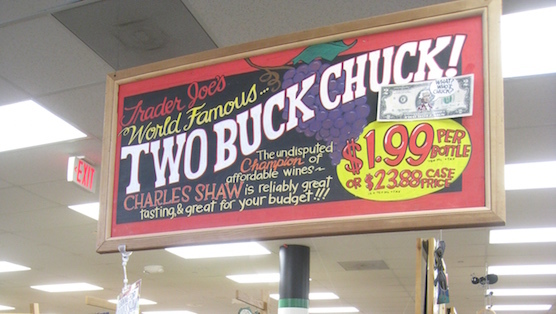 Long story short, it ain’t just Two Buck Chuck that’s dirty – this whole fracas is suspect. So here’s a quick primer on Poison from another person with no credentials in science but a pretty intense number of field hours in wineries.